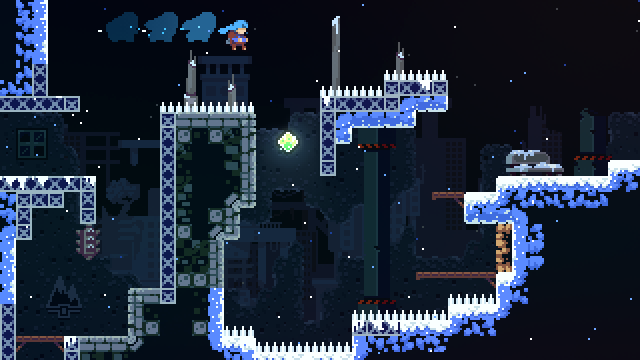 Matt Thorson, the director and designer of the platform game Celeste, has revealed on Twitter that the title has sold over 500,000 copies in 2018. The game was released on January 25 and has been met with critical praise and has won several awards. To celebrate the achievement, the developers intend on releasing some new levels. The independent title Celeste has managed to rack up over half a million sales in less than 12 months, according to a tweet posted by one of the game’s creators. Matt Thorson also tweeted that work is taking place on new levels for the game, which should be released in early 2019. Since its release in January 2018, Celeste has received universal acclaim for its gaming mechanics and immersive story. The game, which won Best Independent Game and Games for Impact at The Games Awards 2018, is centered on a girl called Madeline, who has to scale a mountain whilst dealing with her dark alter-ego, known as Part of Madeline. Although the title is basically a platformer, it combines the usual jumping and puzzle-solving nature of this game genre with a deep and moving story that has resonated well with players. Developed and published by Matt Makes Games, Celeste was a result of a game jam. As well as winning the Audience Award at the 2018 Independent Games Festival Awards, the title was also nominated for two Golden Joystick Awards. However, although Dead Cells took home the Golden Joystick for Best Indie Game and Fortnite Battle Royale snagged the Ultimate Game of the Year title, it’s still been an incredibly successful year for this charming throwback.